This is a short video made on April 4, 2015 at Botanical Beach near Port Renfrew BC, one of our citizen scientist sampling locations organized by Surfrider Vancouver Island. Botanical Beach is at the north end of the Juan de Fuca Provincial Park on the southwest shore of Vancouver Island. We arrived on the rising tide when the larger, more impressive tide pools were already submerged but this little pool shows the main types of organisms one can find there. Almost got our feet wet in the end. Interview about the InFORM project begins at 33m32s mark of the Soundcloud Player. Surfrider Foundation Vancouver Island chapter is helping to coordinate citizen science sampling in the South Island region and in particular Port Renfrew. November 2014 sampling for the InFORM projects was carried out by volunteers from our NGO partner Surfrider Foundation Vancouver Island. If you love the ocean you will love Surfrider. Port Renfrew is located on the southwest coast of Vancouver Island. Port Renfrew is in the traditional territory of the Pacheedaht (meaning “people of the sea foam”) First Nation. Port Renfrew is the southern terminus of the West Coast Trail and is close to some of the biggest trees in Canada and in the world. 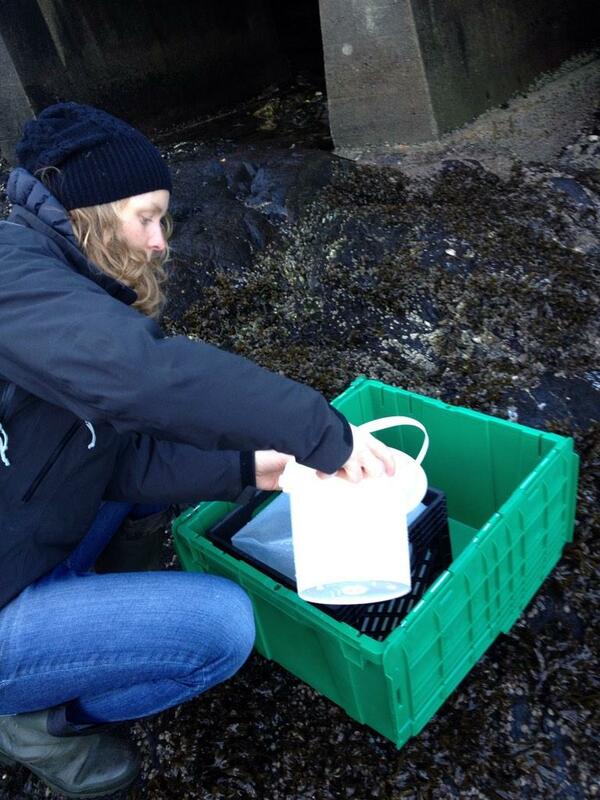 The picture below shows the first InFORM sample in Port Renfrew being collected in November 2014.